‘Best of’ lists are intended to alert you to the best of a festival or a programme of works. But sometimes what they omit is as telling as what they include. In last week’s Sunday Times culture section, the Edinburgh Festival Fringe was dissected into various categories: best new American plays, best on black history – even best conjuring. But although there was a best of the Edinburgh International Festival, there was no best of Scottish work. It is not alone in this omission. The work of Scottish theatremakers has not been regularly highlighted at the festival. In the behemoth fringe programme, there’s new Scottish work to be found if you know where to look. But the fringe should do more to promote local artists. The successes of the Edinburgh festivals are realised thanks in part to investments from local and national government, marketing and tourism quangos, and business sponsorship. For the fringe, these subsidies go towards the management and marketing costs, not to artists and the creation of shows. The fringe receives public funds and should therefore provide specific benefits to residents, which includes local artists. It has been a torrid year for the outgoing chief executive of Creative Scotland and the people the organisation serves. Core funding agreements for the 2018-19 financial year were only announced this January, crippling organisations’ abilities to plan ahead. The funding decisions were controversial despite Scottish culture secretary Fiona Hyslop pledging to increase Creative Scotland’s budget by £6.6 million a year for three years. 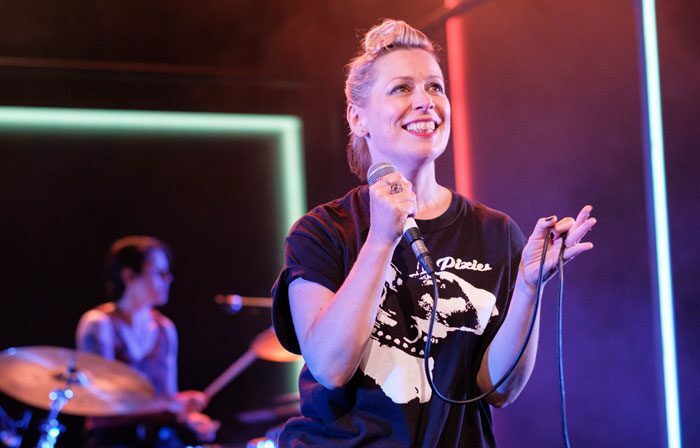 Successful efforts to support Scottish theatremakers include Made in Scotland, which invests a tranche of public funding to Scottish dance, music and theatre for presentation costs at the fringe. It helped established artists including Cora Bissett, Rob Drummond, Kieran Hurley, Stef Smith and Gareth Nicholls. To support 23 shows this year, Made in Scotland invested £280,000 – an average of £12,174 a show. Applicants actually requested more than a million pounds in investment, but its funds met only a quarter of the need. More organisations, spaces and producers also need to support and develop new artists and new productions. Artists in Scotland are clear in saying that there is not enough money available to create new work. Subsidy is finite so it matters where it is allocated to give maximum benefit to local artists. Subsidy has helped make the fringe unrivalled for press and industry focus and reaching audiences. What the Edinburgh Festival Fringe can do, along with funders, organisations, residents and artists themselves, is place work made in Scotland at the heart of its messaging. Local artists should be a special beneficiary of the fringe, and I’m confident that the press will pay attention – and in turn, so will audiences.